The U.S. Drug Enforcement Administration is illegally preventing shipment of hemp seeds to Kentucky in clear violation of federal law. For weeks, we have dealt with unnecessary government bureaucracy, federal officials unwilling to discuss the law or answer questions, and delay ... after delay ... after delay. To understand what led to legal action, you have to know the journey. From the beginning, Kentucky has taken a legally responsible pathway to re-introducing industrial hemp to our agricultural economy. We did everything "by the book" and in record time. We revived the Kentucky Industrial Hemp Commission, pulled together an unprecedented bipartisan coalition, passed a landmark state law legalizing hemp production in Kentucky, and traveled to Washington and worked with our congressional delegation to change federal law. The Agricultural Act of 2014, signed into law by the President of the United States in February, authorizes states where hemp production is legal to carry out research pilot programs "notwithstanding any other federal law." A couple of weeks ago, a 250-pound shipment of hemp seeds meant for legal Kentucky hemp pilot programs was imported from Italy to Chicago. The shipment cleared customs in Chicago, but then, in an arbitrary and capricious about-face, the DEA seized the seeds when they arrived in Louisville. We negotiated for their release for days, and we thought we had the matter resolved. But then, DEA attached conditions to the release of the seed requiring the department to obtain a Schedule 1 controlled substances research registration and prohibiting private farmers with sites duly certified by and registered with the department from participating in the pilot programs. When we confronted the DEA about this, the response was, "Make a counter-offer." To be clear: We will not negotiate on the law, we will not call industrial hemp a drug when it is not, and we will not exclude farmers from participating in pilot programs. And we shouldn't have to. We worked so hard to set our state apart as the most responsible place for manufacturers and processors to locate. 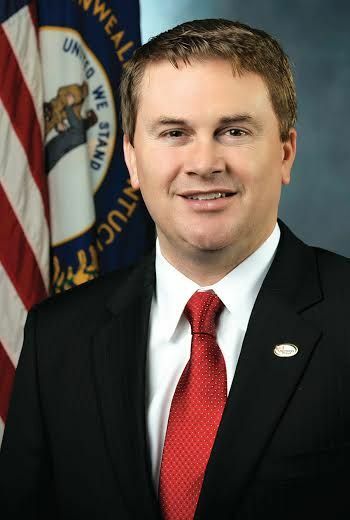 In a show of bipartisan support, our Democratic attorney general, Jack Conway, issued a letter agreeing that the farm bill allows production and sale of industrial hemp for research purposes. And after all this, the DEA arbitrarily intervenes into a perfectly legal process in Kentucky, all the while turning a blind eye to marijuana production in Colorado, where it's been said there are more marijuana stores than Starbucks. This is a classic case of government overreach - a single agency making the rules to suit itself, applying those rules inconsistently, and refusing to be held accountable to the will of the people. We could just throw our hands in the air, scrap the pilot programs, and blame Obama. But Kentucky deserves this opportunity, and we are uniquely suited to take on this challenge for the rest of the country. We have a rich tradition with industrial hemp and an extremely knowledgeable and supportive agriculture community that the federal government is underestimating in this case. We've come so far - and we aren't turning back now. Whatever the outcome, this is a fight worth having for every other state, industry, small business owner, or individual citizen that has endured this bureaucratic nightmare. Enough is enough.